New to Gardening or want a little extra advice for your next project? Let us get you started right. Perfect for small areas or just “freshening up” a garden corner. 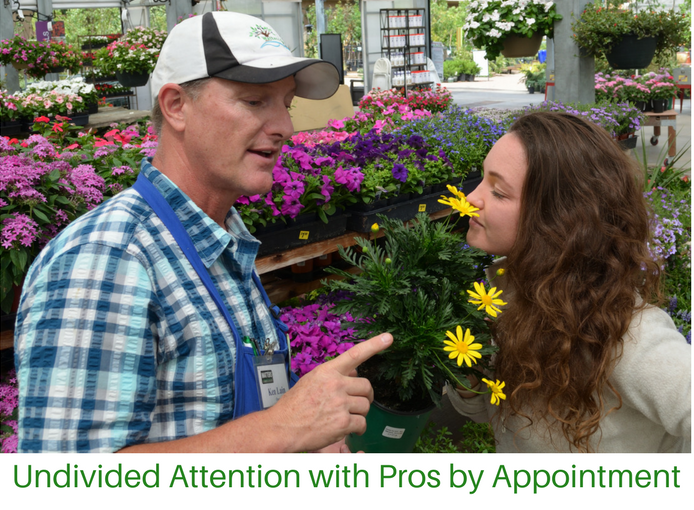 Schedule a personal 1-hour appointment to meet in-store with a Watters expert. We’ll assemble the plants needed for your garden project right on the spot! Cost is Free – however, we do ask you commit to a $250 Watters gift card purchase good towards your future garden projects. We’ll call and have it waiting for you at your appointed time. We also Plant– Watters can install the entire landscape project if needed. Request a quote. Service Limitations – Our Personal Gardener Service is an in-store service full of advice. Come with a pen & paper. Services do not include plans or drawings. A list of recommended plants and products can be made upon request. To get started purchase a $250 gift card by filling out the form below. If you have questions please visit our ‘contact us’ page or you can contact us directly Watters Garden Center.